Well, Friday has rolled around once again, and you know what that means - it's time to get our whoop whoop on! I hope you're ready - I know I am! Let's get started! These pillows started with three pretty little orphan blocks. All three had shades of pink in them, which helped determine the background fabric. I looted my stash for some beautiful linen that I was hoarding - a pale pink, a creamy white, and a deeper pink that actually started life as an IKEA curtain! All of them are quilted in a grid style, fitted out on the back with an envelope closure (all in the creamy white linen), and bound wth a beautiful tan, cream and white Modernist print. They are so pretty together! Soft and feminine, they'll be perfect in a little girl's room or in a "lady cave"! 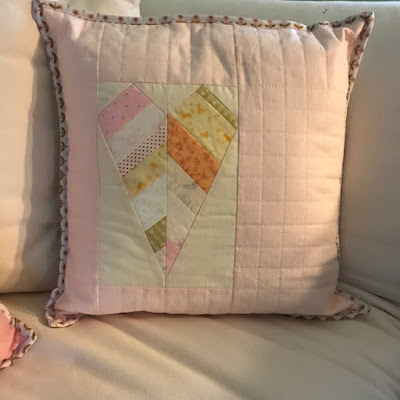 Now, if you've been watching my progress with pillow covers and are starting to get the bug to make some of your own, I'm hoping to post a tutorial this coming week with the simple how-to's so you can join in the fun! Your pillows are so pretty! Lovely pillows, and soft colours go so well with the inset hearts. Love your pillows and those dancing nuns - I remember nuns from my childhood days but none of them danced like that! Sarah, your scrappy hearts on linen backgrounds are so feminine! Beautifully done! And thank you for hosting! Love those hearts. 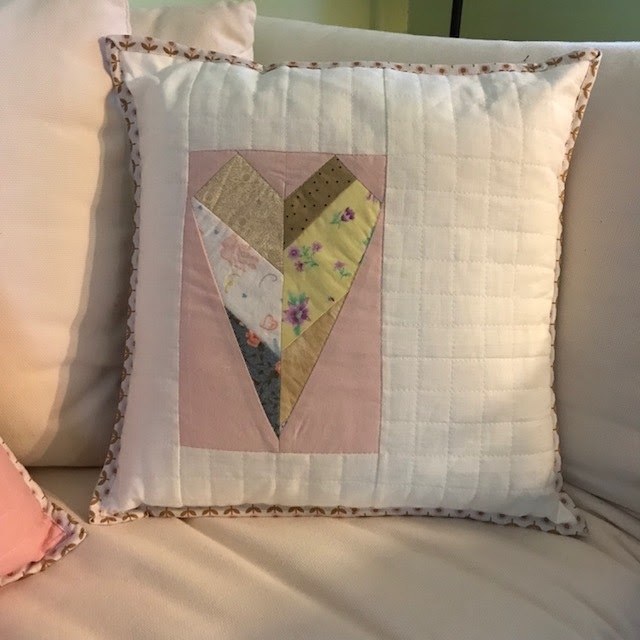 In fact they inspired me to make my own heart pillow. Find it funny that it is what I'm linking up with today. all repurposed stuff! they're beautiful. Those scrappy heart pillows are so pretty!! Beautiful pillows! I like the off center placement. I love your pillows, it made me think of the scene in the film Steel Magnolia where Shelby was describing her wedding colors, Blush and Bashful--there's something sweet about the color pink. Oh these are just so pretty! And I have been wondering how you were making the back. Looking forward to your tutorial. 'Love the pillows. Making them is addictive, lol. Looking forward to your tutorial. Make-A-List Monday - Buckling Down! I May Have A Scrap Problem... Binding Wars! Make-A-List Monday - Winter Is Coming! Can I Get A Whoop Whoop? Paying Work Rocks! I May Have a Scrap Problem... Playing Catch-up! Make-A-List Monday - Rolling Along! Introducing Boston Commons by FreeSpirit Fabrics! 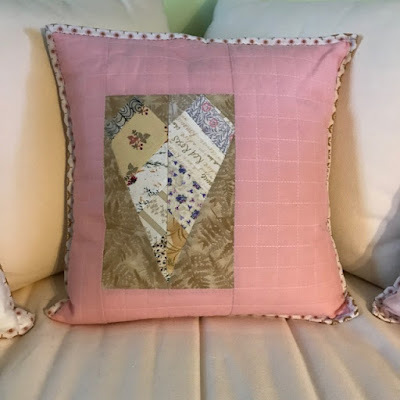 Make-A-List Monday - Fall Sewing!